Jade Gall is a highly celebrated UK-based saxophonist and flautist, hailed as having a “big, strong tenor sound with a beautiful sense of melody and swing…a musician to look out for in the future” by top UK trumpeter Steve Waterman. Experienced in jazz, classical and pop fields, she has performed alongside top-class musicians from around the world, including: Allison Adams Tucker, Claire Martin, Clare Teal, Jason Rebello and Duncan Lamont; and has featured on BBC Radio broadcasts. A regular feature of horn sections across the UK & Europe, Jade has performed to sell-out crowds at The Welsh Millennium Centre, Glastonbury Festival and Boomtown Fair. She features as regular saxophonist of the smash-hit touring show ‘Signed, Sealed, Delivered’ and has also played for ‘The Magic of Motown’ and ‘Soul Legends’ shows as far afield as Barcelona and Belgium. As a classical saxophonist, Jade is a Fellow of Trinity College London (FTCL) in saxophone performance. She graduated with an MA in Music Performance from the Royal Welsh College of Music and Drama in 2013 and has studied with top classical saxophonists Hannah Marcinowicz, Nigel Wood and Gerard McChrystal. A regular feature of classical music festivals around the country, she premiered Marianna Filippi’s ‘Meandering Impressions: A Love Poem’ (written for her) for tenor saxophone and piano during part of the Welsh Proms on the Lefel 1 stage. 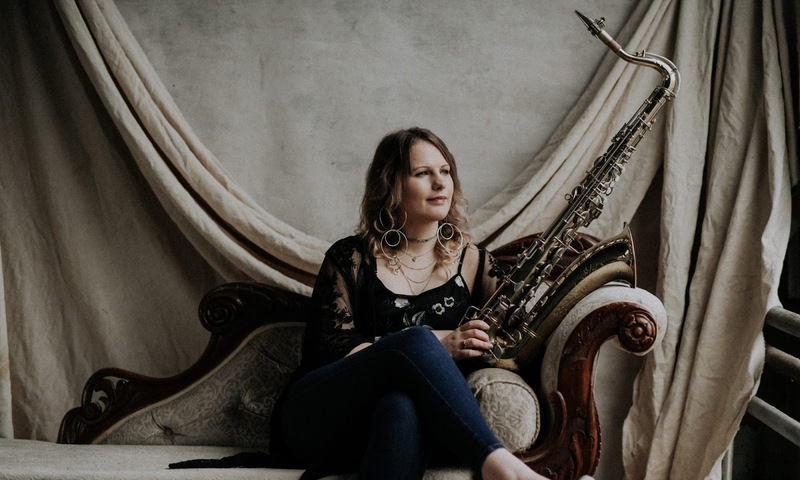 Alongside her solo recital programme she is involved in plans for a saxophone duo with Ffion Dafis-Clode, a saxophone quartet and a solo classical album. As a jazz artist, Jade released her debut quintet album ‘Out With The Blues’ to critical acclaim in 2016, and has since performed as both bandleader and sideman at top jazz venues across the country. Jazz projects in the pipeline for 2018 include performances with her Bristol-based quartet; a quintet featuring Julien Alenda at Teignmouth Jazz Festival; performing Ellington’s ‘Sacred Concert’ with the Swing Machine Jazz Orchestra and working with Tom Green (Dankworth Composition Prizewinner 2013) and the Sam Massey Ensemble.